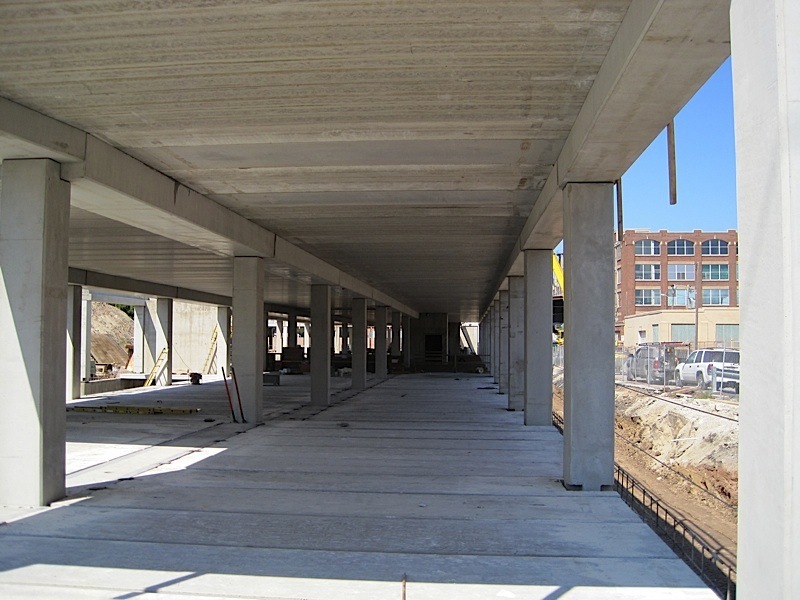 Precast concrete provides the underground parking, which is under the entire building. Precast is also used at the first level of the building, providing high floor to ceiling heights for the commercial space at street level and a separation level from the residential area above. Many of the structural precast components are exposed and add to the interior design.